It seems like SPUF is always in two minds when it comes to glitches within our expansive game of TF2. Whether it’s high-fiving someone into the enemy spawn or staying invincible as a Medic, we’ve certainly seen our fair share of bugs that Valve has accidentally exposed over the years. Of course, the latest one on the public mind (but not a recent one, dating back to just after last Halloween when it occurred) was the persistence of Halloween spells on items beyond when they were supposed to expire. This glitch was patched during and after this year’s update, with all spell items expiring but all items with spells applied to them allowed to keep the spell (with the caveat that the spells would only be visible during Halloween/full moon). This recent action has caused quite the outpouring, with a thread gaining steam on SPUF and a blog post on this very site, showing how much SPUF is in two minds about every issue. Since every stance has a counterstance, I’m here to offer the opposing point of view: to all those complaining, deal with it. You can still rock your glowy paints on full moons! Picture by FeelGoodInc. A glitch was abused to hell, the glitch got fixed, now everyone is acting like it was a feature. You may argue that the spells didn’t hurt people and wouldn’t benefit anyone by being removed. Sure, maybe, but do you have the right to rely on a glitch? A more dramatic example of recent – OpenPlugin, a somewhat popular FOV-changing plugin used in the EU that bypassed VAC, was forcibly disabled and the players using it warned to stop or face VAC bans – a promise on which Valve followed through. What about cosmetics? There was a glitch a while back where a player found a way to grant himself whatever items he wanted. If that player had abused that to enrich himself, should he have been able to keep that wealth? Of course, people will still give flak for making the change, and more generally, we’ve given Valve flak for decisions to fix the more “enjoyable” glitches, like the one that allowed us to whack dead people with melees or get into the enemy spawn. However, let’s look at the bright side – at least Valve is taking the time to implement changes into the game. 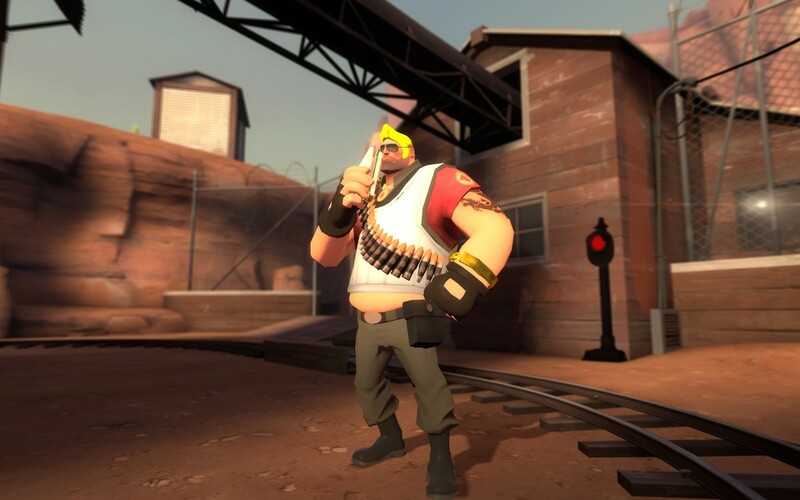 They already have done a lot – for a game 5 years old, they could have just walked away after the MvM update and (especially after Robotic Boogaloo) let the community take charge. However, the TF2 team is still making changes – massive balance updates, feature requests from the community, and new and unique Halloween events. Given how small the team is nowadays… I’m counting my blessings here. Of course, I’m not suggesting that we just sit back and watch as Valve makes actual changes we don’t like – send them an email with your suggestions and complaints about recent changes like to the Sticky Jumper and Crusader’s Crossbow, of course! Just don’t complain that your hat isn’t shimmering on a daily basis anymore.